The Ashaway Powerkill 130ZX has a drop-shaped frame and this high flexibility allows for increased power in the swing. 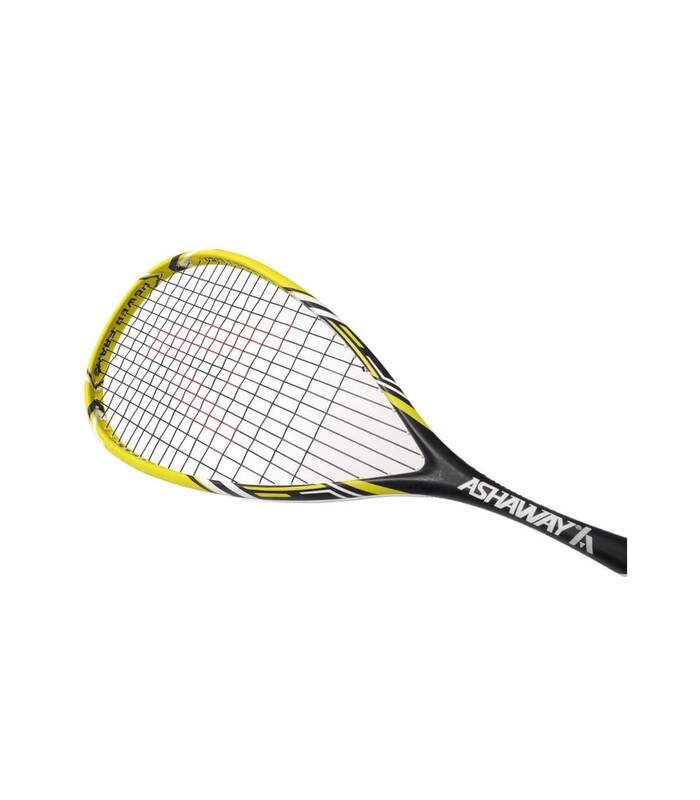 A 9m string set of Ashaway Multinick 18 is offered when you buy a Ashaway racket ! The new ashaway range is available now ! Ashaway unveiled its new Powerkill range! This new range is composed of three previously existing rackets. The range has been reissued with new design, new features for your enjoyment! 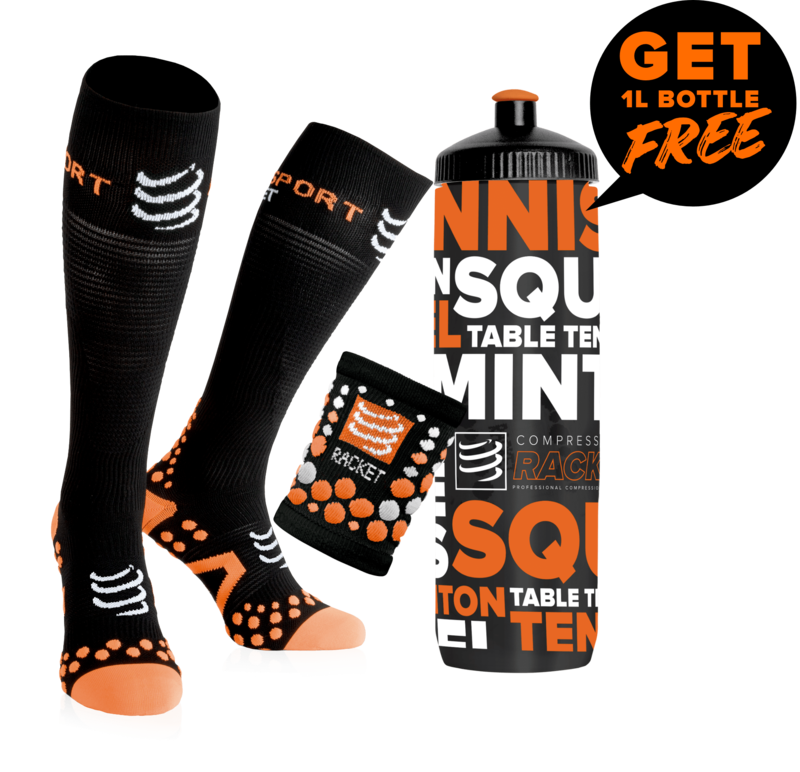 They are made from very good quality thanks to a high-end graphite, offering resistant but light squash rackets. 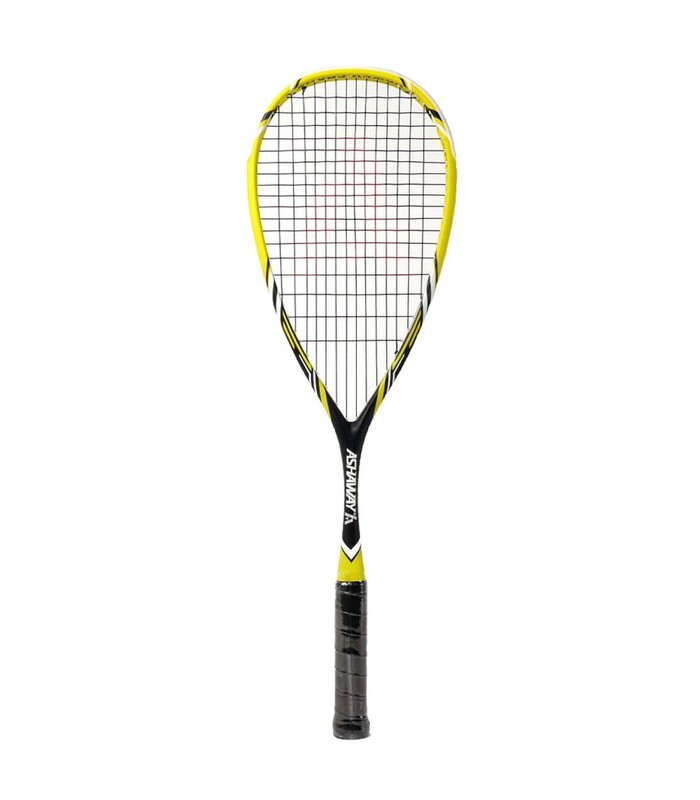 The Ashaway Powerkill 130 ZX squash racket is part of the new range. Playability has been improved, flexibility as well as durability. Indeed, this racket got a lot of potential and will be loved by player looking for ultimate power and control. This frame is the most flexible of the range thanks to it’s 100% soft and flexible graphite composition. A 9m string set of Ashaway Multinick 18 is offered when you buy a Ashaway racket ! With its design and its yellow color, you will have an authentic racket on the court. The string has been updated, the racket is strung with Ashaway Supernick ZX Micro string, a top selling and popular string. The Ashaway Powerkill 130ZX has a drop-shaped frame and this high flexibility allows for increased power in the swing. Its mono-shaft, same as carboflex, will offer a very good control / power ratio. Weighing 130 grams, this racket is a very good one for players looking for power. In terms of technical characteristics, this racket has a large sieve of 486 cm. Its classic 14x18 string layout gives you a nice touch and control. Its head balance (36.5 cm) will bring you a very good power.